Where and how do you farm the worms? Would love a couple of plants if you have any extra. 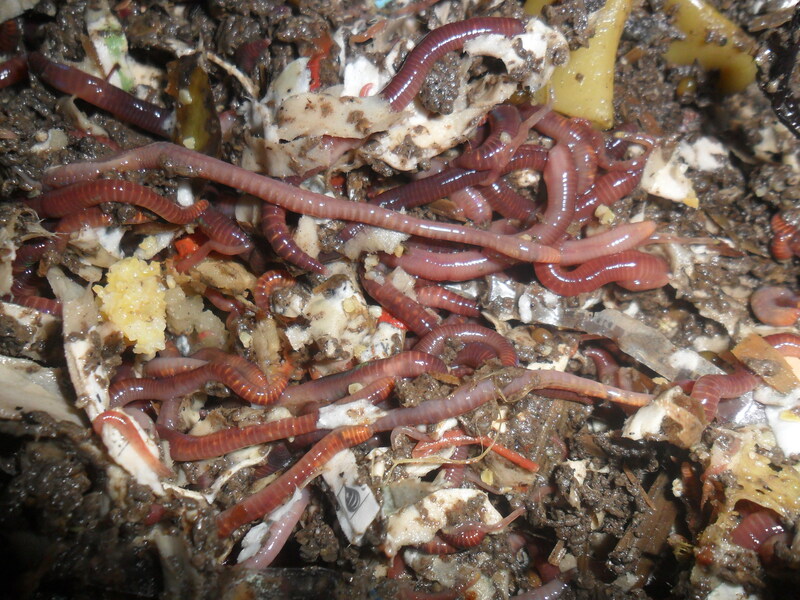 It’s kind of funny: I keep the worms on the back porch in a big rubbermaid container. I started out with one 1lb of worms, and who knows how many I’ve got now–they’ve multiplied quickly. Hopefully, we’ll have some extra plants. Keep us updated on the setting hen. After about 25 days I threw the eggs out. The hen was off the next and she or they had scattered the eggs. I may try again this summer and separate the hen from the others or use an incubator to try and hatch some. We’re starting our seedlings this weekend. Exciting, isn’t it?! We are beginning with tomatoes and peppers for our market garden. 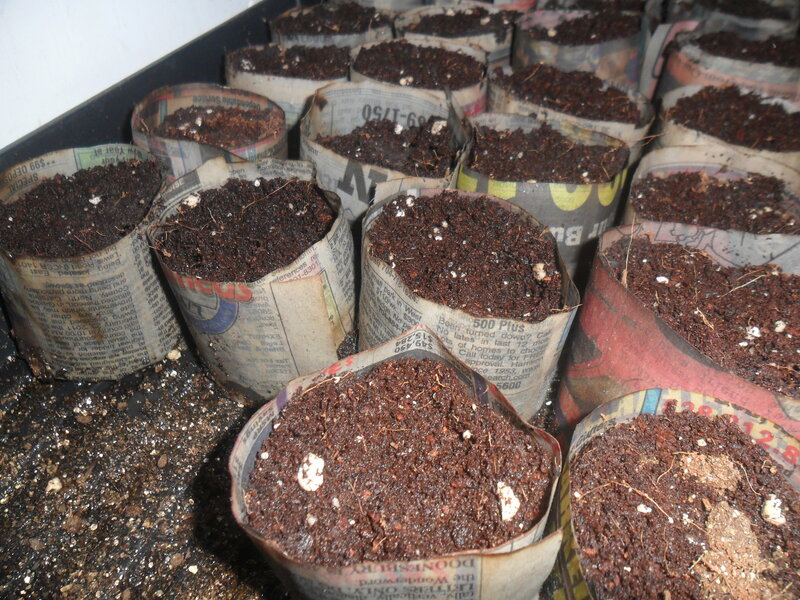 I have about a dozen seed trays, but beyond that we are using the newspaper pots too. Best thing about them–putting them straight into the ground without disturbing the roots of the more delicate plants–no transplant stress. Yeah, I really like the little newspaper pots so far. Good luck with the tomatoes and peppers. We’ll be starting those pretty soon, as well. It’s exciting! I liked the newspaper pots too, until Stephen decided to use organic fertilizer in them…..while they are germinating in the house…..which means that our whole house smells worse than the chicken coop. I might be moving out to the barn if they don’t germinate and move to the porch soon! What type of peppers are you planting this year? OMG! I’ve heard more than one person this season make the mistake of the fertilizer! LOL! Homemade hot sauce sounds yummy! We tried and tried to come up with a salsa recipe that we liked…which translates into “we wanted to make our own Mi Puebs salsa.” Our favorite Mexican restaurant makes their own fresh each day and no matter what we do it never comes out quite right….just weird. Definitely post about any pepper recipes you try that you like! Isn’t it fun, though, trying to figure out a ‘secret’ restaurant recipe! Is it cooked salsa? I do have a killer recipe for pico de gallo, which is fresh–not cooked?